Traffic crosses through the intersection of Business 83 and 17th Street guided by traffic lights Monday, Aug. 13, 2018, in McAllen. 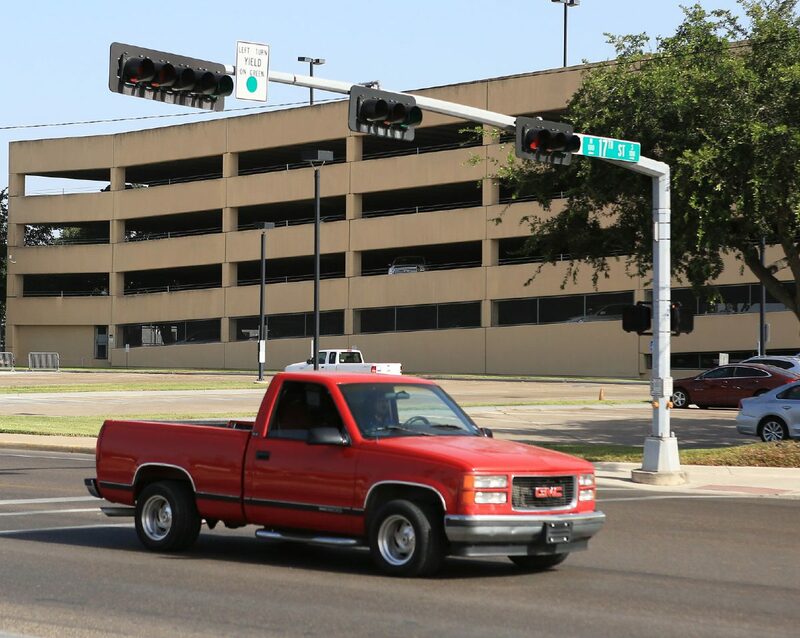 McALLEN — Business 83 is cluttered with traffic signals impacting traffic flow that city officials are hoping to help. The first step, after a recent evaluation, will be removing the traffic signal near the federal courthouse at the intersection of Business 83 and 17th Street. By next week, there will be a sign posted for 90 days by that intersection informing motorists that the traffic signal will be removed. “Over time, traffic signals in certain locations no longer become necessary,” City Engineer Yvette Barrera said. She didn’t anticipate much objection to this signal being removed, since 17th Street going south at that point is just one direction for vehicles. That signal impacted traffic one street east, with vehicles at times backing up from the 17th Street and Business 83 intersection when trying to turn onto Business 83 from 16th Street.